ORM EA is specially designed for fast and accurate market order execution to be used with our Price Action and Econometric Trading strategies listed below. ORM EA is fully automatic and ORM EA is also very easy to use. ORM EA is totally free of charge. You can also use this robust order execution feature of this ORM EA for any other your own trading strategy. Automatic Order Execution (both buy and sell) in one click. Automatic Lot size Calculation for chosen risk Percent. 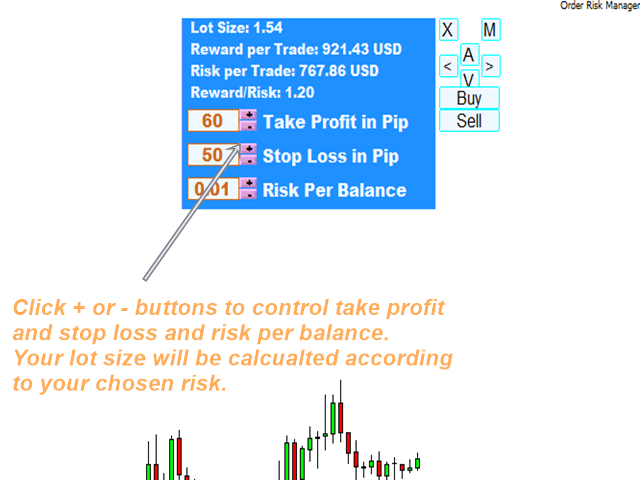 Automatic Risk/Reward ratio calculation for your trading journal. 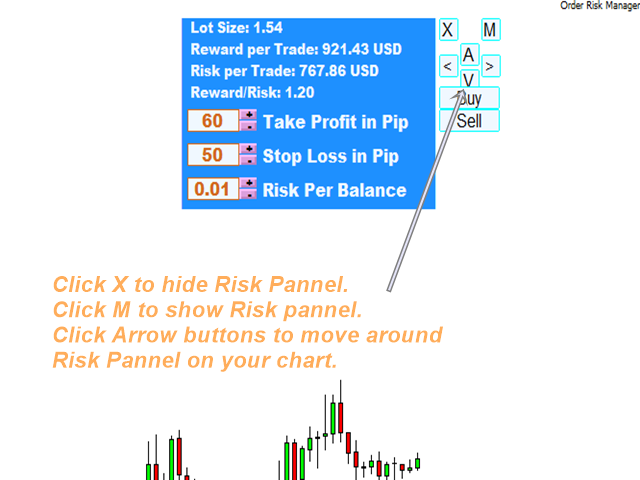 Automatic Take Profit and Stop Loss display on your chart. You can choose between equity and balance to calculate your lot size. Very simple and easy to use but very handy to have it. Key pressing A: open previous symbol chart in your market watch (above). Key pressing S: open next symbol chart in your market watch (below). Key pressing D: increase Take Profit. Key pressing C: decrease Take profit. Key pressing F: increase Stop Loss. Key pressing V: decrease Stop Loss. Key pressing J: On/off Auto Take Profit and Stop Loss display. Mouse over "Buy" button: shows Take profit and Stop loss for buy order. Mouse over "Sell" button: shows Take profit and Stop Loss for sell order. Mouse click on "Buy" button: send buy order with current take profit and stop loss. 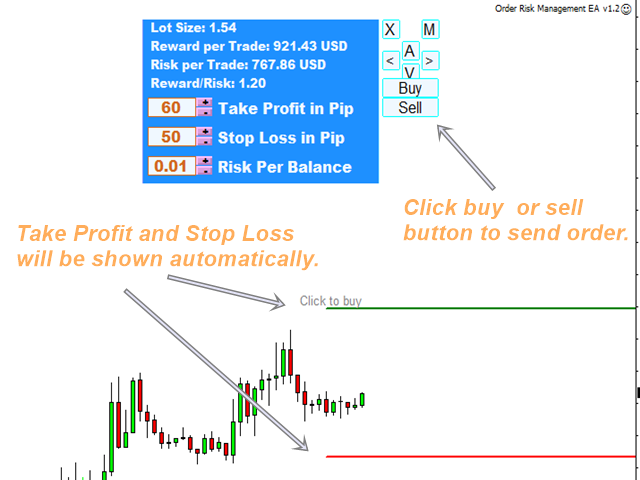 Mouse click on "Sell" button: send sell order with current take profit and stop loss. Key pressing D or C while mouse is over "Buy" or "Sell" button: you can increase or decrease take profit while you are dynamically seeing take profit line moving on your charts. Key pressing F or V while mouse is over "Buy" or "Sell" button: you can increase or decrease stop loss while you are dynamically seeing stop loss moving on your charts. ORM EA works with buttons and your key board buttons dynamically. Please take enough time to get comfortable with this EA before you start on your live trading. In addition, instead of using symbol button in Harmonic pattern Plus, Harmonic Pattern Scenario Planner, Price Breakout Pattern Scanner and Sideways Market Statistical Analyzer, use A or S key pressing for fast change of symbols.